As the new drug 4-methyl-euphoria takes lives in Europe, Narconon International rushes information on this deadly substance to families before the drug makes its way to the US. 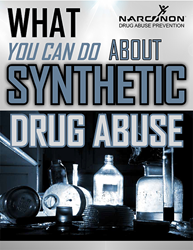 We have also created a complete Guide on Synthetic Drug Dangers, including information on their deadly effects and advice on how to prevent children from abusing them. Synthetic drugs like “bath salts” and Spice have been making headlines for the past few years as these and other new drugs result in hospitalizations and deaths. A new and deadly drug is being reported in Europe, and Narconon International believes it should provide updated information to the public. The new drug is nicknamed “4-methyl-euphoria.” It is currently legal in Europe. As reported by the European Monitoring Center for Drugs and Drug Addiction out of Lisbon, Portugal, this drug is a derivative of 4-methylaminorex, a listed illegal drug with a strongly stimulant effect similar to methamphetamine. Already, 4-methyl-euphoria is blamed for 18 deaths in the UK and 8 more in Hungary. It is being sold in both powder and tablet form. The tablets can come in any shape or color. The drug kills in a manner similar to other illicit stimulants on the market: severe overheating, agitation, difficulty breathing, and cardiac arrest. For more information on Narconon drug rehabilitation or prevention, call 1-800-775-8750.